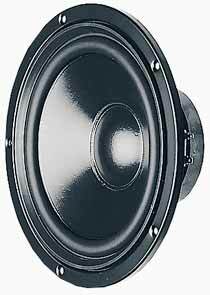 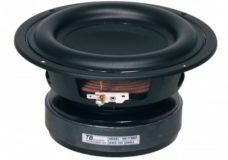 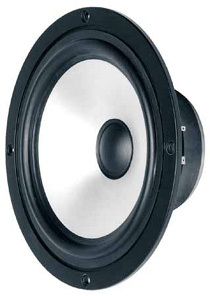 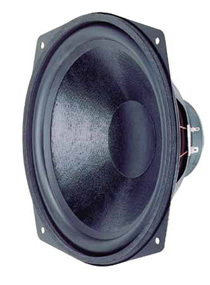 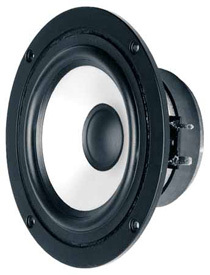 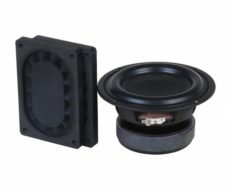 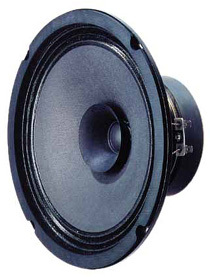 13 cm (5″) woofer with robust polypropylene membrane for very compact subwoofer. 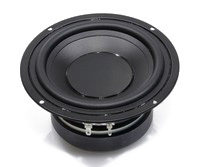 13 cm (5″) woofer with robust polypropylene membrane for very compact subwoofer. 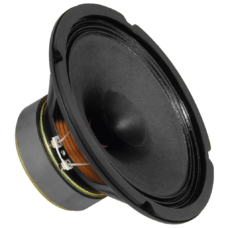 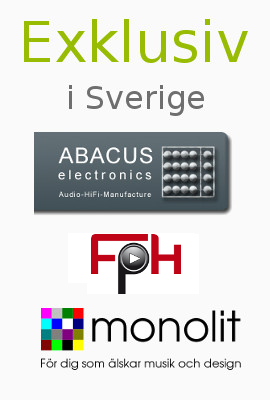 Designed for multi-purpose applications due to 2 x 4 ohms double voice-coil, with excellent properties as 8 ohms drivers in series configuration. 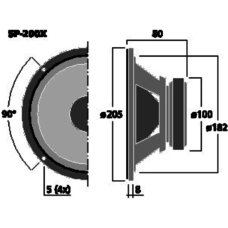 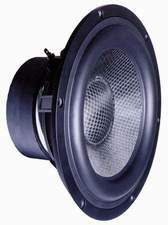 The enormous membrane displacement for its size as well as the very low resonance frequency allows a considerable sound pressure level, the one does not trust such a small speaker. 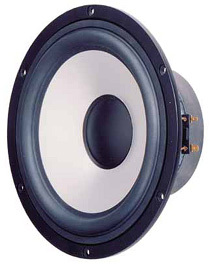 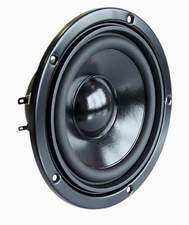 25 cm (10″) woofer with coated paper cone, rubber edge and extended rear pole plate for long strokes.